Kalindra Faria is a Brazilian MMA fighter who competes in the Women’s Flyweight division. She’s currently signed with the Ultimate Fighting Championship. Born on July 23, 1986 in Taubaté, São Paulo, Brazil, her full name is Kalindra Carvalho Faria. 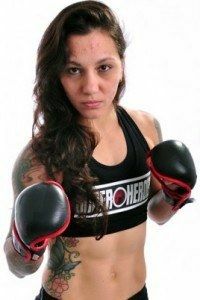 Prior to joining the UFC, she amassed a record of 18-5-1 in fights against fighters such as Jessica Aguilar, Karolina Kowalkiewicz and Cláudia Gadelha. *She was born on July 23, 1986 in Taubaté, São Paulo, Brazil. *She amassed a record of 18-5-1 in fights against fighters such as Cláudia Gadelha, Karolina Kowalkiewicz and Jessica Aguilar prior to joining the UFC. *She won the inaugural Titan FC Women’s Bantamweight Championship against Carina Damm via unanimous decision in her lone appearance for Titan FC.